At Davis Trailer World, we stock all of the essentials for almost any trailer brake or axle job. We carry brake parts for electric and hydraulic assemblies. 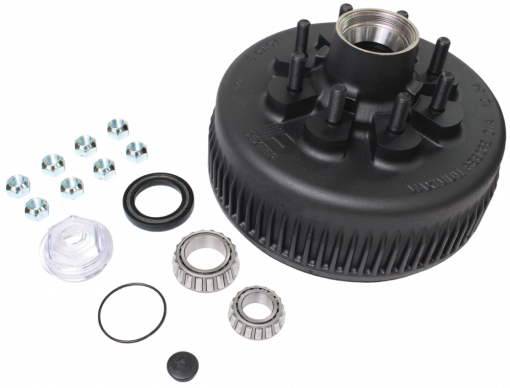 We stock brake components rating from 1500 pounds to 15,000 pounds, both drum and disc application; offering a basic selection of spring axles kept on the shelf (2K-7K) for the start of something new or repairing worn items. We also inventory the suspension components to compliment in stock axles.Our primary focus and brand is Dexter Axles. Not only do we have the parts, we also have the knowledge, expertise, and experience to back these up. We offer instruction and installation of all brake parts. From 2,000 lbs. to 27,000 lbs., Dexter leaf spring axles are the benchmark of the trailer industry. Each capacity is tested to meet the specific needs of each application… and then some. Dexter offers both straight and drop spindles for most capacities 8k and below, while straight spindles are considered standard for products rated above 9,000 lbs. 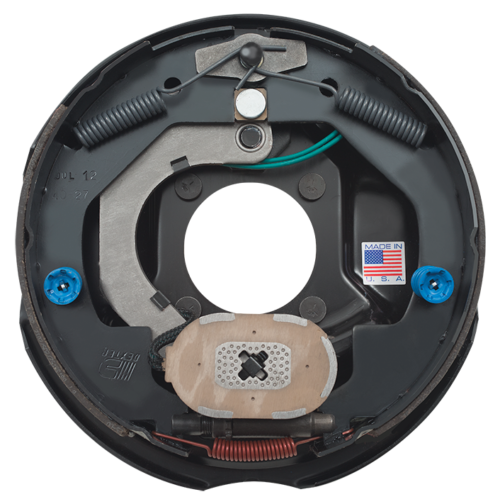 Leaf springs are offered in both double eye and slipper spring configurations, and can be mounted in either underslung and overslung configurations. 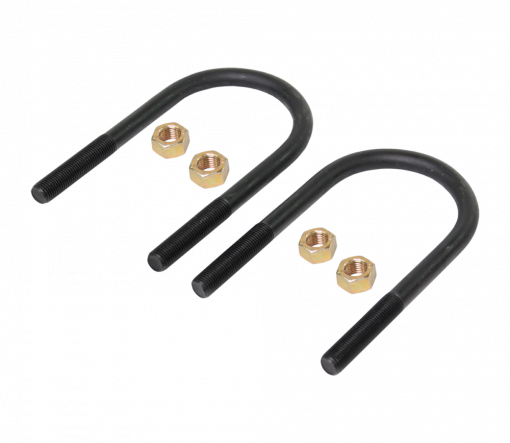 In many cases Dexter has multiple tube and spindle solutions to safely handle the overhang customers desire. Leaf Spring axles are offered with several lubrication options, depending on the capacity, including E-Z Lube, standard grease, and oil. Dexter is committed to providing its customers with the most durable, highest level quality and performance leaf spring axle on the market. The Torflex suspension system is a torsion arm type suspension which is completely self-contained within the axle tube. It attaches directly to the trailer frame using brackets which are an integral part of the axle assembly. The Torflex axle provides improved suspension characteristics relative to leaf spring axles through the unique arrangement of a steel torsion bar surrounded by four rubber cords encased in the main structural member of the axle beam. The wheel/hub spindle is attached to a lever, called the torsion arm, which is fastened to the rubber encased bar. As load is applied, the bar rotates causing a rolling/compressive resistance in the rubber cords. This rotating action provides the same functionality as conventional sprung axles with several operating advantages including independent suspension and reduced wear. Dexter is proud to provide the most extensive line of electric drum, hydraulic drum or hydraulic disc trailer brakes available. Product capacities range from 2,000 lbs. to 15,000 lbs. per axle rating. Dexter has spent years developing and honing its product line into today’s industry leading designs. Efforts to improve continue, as Dexter proudly manufactures nearly all brake components and friction materials in Albion, IN. Dexter is proud to provide the most extensive line of hubs and hub-drums available. Product capacities range from 2,000 lbs. to 27,000 lbs. per axle rating. Dexter has spent years developing and honing its product line into today’s industry leading designs. Dexter’s strong manufacturing culture and an ISO 9001:2015 registration continue to provide the groundwork for the highest level of quality and performance. Dexter is proud to domestically produce hubs and hub-drums in Albion, IN.